Happy Sunday, PMB friends! 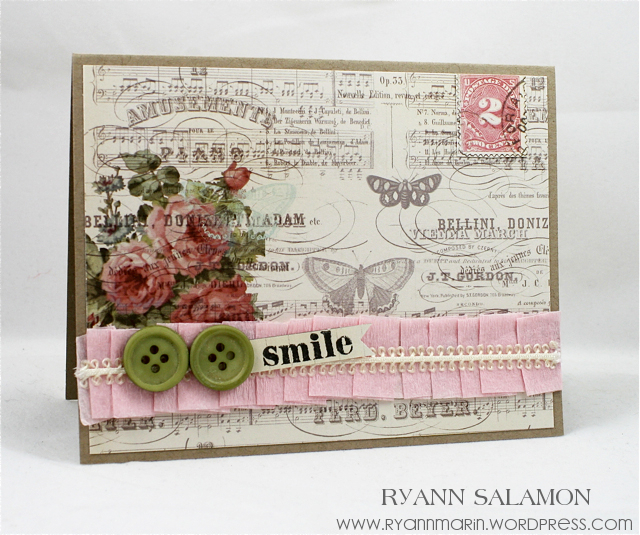 Ryann here with my first Portobello Road project and quick tutorial to share. You'll notice on the picture below I have the piece of paper I used on my card, but the pieces have been switched around! Let me show you what I did! I really wanted to use that big rose cluster in the corner, but I knew that if I left it as-is, most of it would be covered by the row of pleated crepe paper. With some strategic cutting, I was able to show off the rose cluster and still have the card design I wanted! After cutting along the two lines as shown above, I assembled them onto my card base, the skinny panel at the bottom, and the larger rose panel at the top of my card. The row of pleated crepe paper hides any gaps or cut marks! 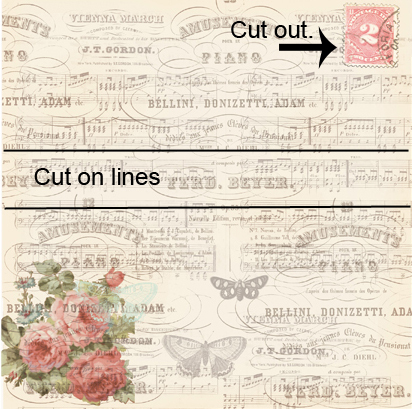 I really liked the cancelled postage stamp at the top corner, so I simply cut it out and adhered it onto my card. Easy peasy! 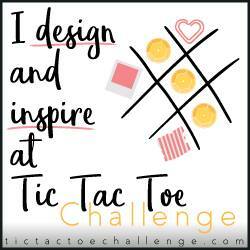 I hope this little tutorial has you looking at your patterned paper in a new way! 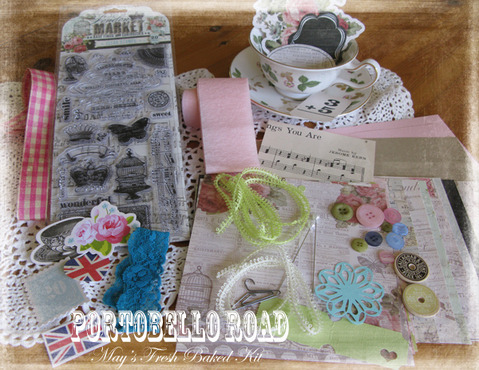 :) Be sure to check out the Portobello Road kit if you haven't already! Lots of shabby goodness abound!! Great tutorial. Looks like a fabulous kit! This is GORGEOUS Ryann! I love love love the way you cut the paper down for your card! Thanks for explaining, I would have thought it was just one piece in the background. Lovely card today!